In this provocative, wildly entertaining, and compelling novel, seven women enrolled in an extreme-weight-loss documentary discover self-love and sisterhood as they enact a daring revenge against the exploitative filmmakers. Alice and Daphne, both successful working mothers, both accomplished and seemingly steady, harbor the same secret: Obsession with their weight overshadows concerns about their children, husbands, work - and everything else of importance in their lives. Scales terrify them. Daphne, plump in a family of model-thin women, learned at her mother’s knee that only slimness earns admiration. Alice, break-up skinny when she met her husband, risks losing her marriage if she keeps gaining weight. The two women meet at Privation. Located in a remote Vermont mansion, the program promises fast, dramatic weight loss, and Alice, Daphne, and five other women are desperate enough to leave behind their families for this once-in-a-lifetime opportunity. The catch? They must agree to always be on camera; afterward, the world will see Waisted: The Documentary. The women soon discover the filmmakers have trapped them in a cruel experiment. With each pound lost, they edge deeper into obsession and instability...until they decide to take matters into their own hands. 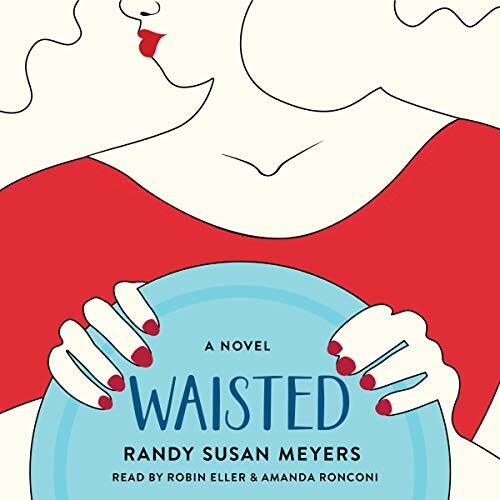 A compulsively listenable and ultimately poignant examination of body image, family, and friendship, Waisted features Randy Susan Meyers’ signature “engaging and sharp” (Publishers Weekly) prose and is perfect for fans of Big Little Lies by Liane Moriarty, Dietland by Sarai Walker, The First Wives Club by Olivia Goldsmith, and Hunger by Roxane Gay.